and what to do if they get it anyway. 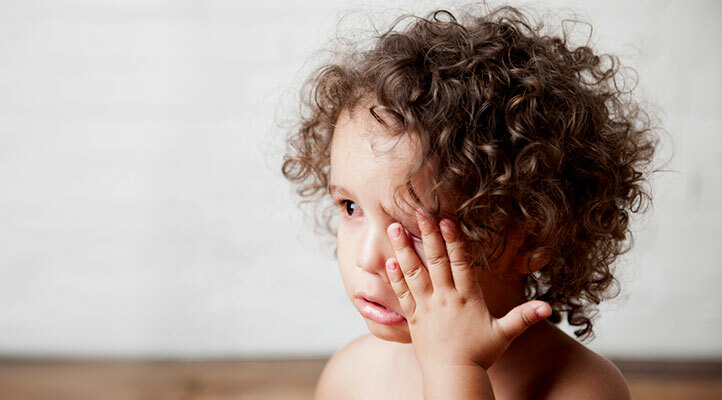 Red eyes… gooey discharge… a burning, sand-in-the-eye sensation… and a tendency to spread quickly amongst children – parents everywhere dread the symptoms of conjunctivitis, otherwise known as pink eye. How can you keep your child safe and avoid bringing the condition home? We talked to one of our resident pediatric experts and MDLIVE’s Chief Medical Affairs Officer, Dr. Deborah Mulligan, for advice. 1) Teach your child careful hand hygiene. Dr. Mulligan’s number one tip? Teach your child to wash his or her hands. “Pink eye is caused by an inflammation of the conjunctiva, the clear membrane covering the white part of the eye and the inner surface of the eyelids,” says Dr. Mulligan. Touching your eyes with dirty hands can spread bacteria, viruses, allergens, or chemicals, all of which can cause irritation or infection. “Good hand hygiene is the best method for preventing the spread of pink eye,” she says. Getting your kids in the habit of washing their hands before and after touching the eyes, nose, and mouth helps prevent the infection from taking hold. 2) Sanitize objects commonly touched by hands or faces. Regularly cleaning tables, doorknobs, telephones, cots, cuddle blankets, toys, and other objects touched by hands or faces helps eliminate lingering bacteria, viruses, or allergens. 3) Don’t share personal items like towels or washcloths. Sharing is a valuable skill to teach your child – but they shouldn’t share everything. You can get pink eye by touching an infected person or something an infected person has touched, such as a used tissue, towel, washcloth, or other item that comes into contact with the eyes, nose, or mouth. 4) If your child shows symptoms, see a doctor right away. As any parent knows, you can’t always control the germs to which your child is exposed. If your child does show symptoms, talk to a doctor as soon as possible. There are several types of pink eye, each with different causes, symptoms, and treatments. Some are extremely contagious, while others aren’t contagious at all. Red or pink itchy, painful eyes. A significant amount of green or yellow discharge. May affect one or both eyes. Yes, until symptoms stop or medication is started. Pink, swollen, watering eyes sensitive to light. May affect only one eye. One type, adenovirus, also causes fever, sore throat, and other respiratory tract symptoms. Yes, while symptoms are present. Itching, redness, and excessive tearing, usually of both eyes. Red, watery eyes, especially after swimming in chlorinated water. According to Dr. Mulligan, other serious eye conditions can have similar symptoms. If the pinkeye does not improve after 2 to 3 days of treatment, or after a week when left untreated, be sure to call your doctor. Forget waiting rooms and expensive urgent care visits! A visit with a board-certified doctor is just a few clicks away. And if a prescription is needed, your doctor can send one straight to the pharmacy of your choice—all from the comfort of your own home. Just log in to speak to a professional via secure online video, phone, or the MDLIVE App. Dr. Mulligan joined MDLIVE in January of 2011 as Chief Medical Affairs Officer, and also serves on MDLIVE Medical Group’s Board of Directors. She brings with her an accomplished background in pediatric emergency medicine and healthcare leadership. 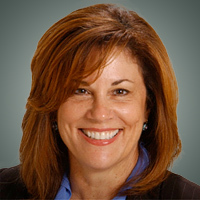 In addition to her work with MDLIVE, she is the Founder and Director of the Institute for Child Health Policy at Nova Southeastern University. Her previous experience includes the role of Pediatric Services Medical Director for the nation’s 4th largest safety net hospital system. She has received numerous awards and honors for her academic and leadership roles, including recognition in the Congressional Record ‘National EMSC Heroes Award for Innovation’, and the Florida ‘Community Engagement Educator Award’, presented by First Lady Michelle Obama. Dr. Mulligan is a tri-lingual, practicing physician who is board-certified in pediatrics and emergency medicine, receiving her medical degree from the University of California, Los Angeles.